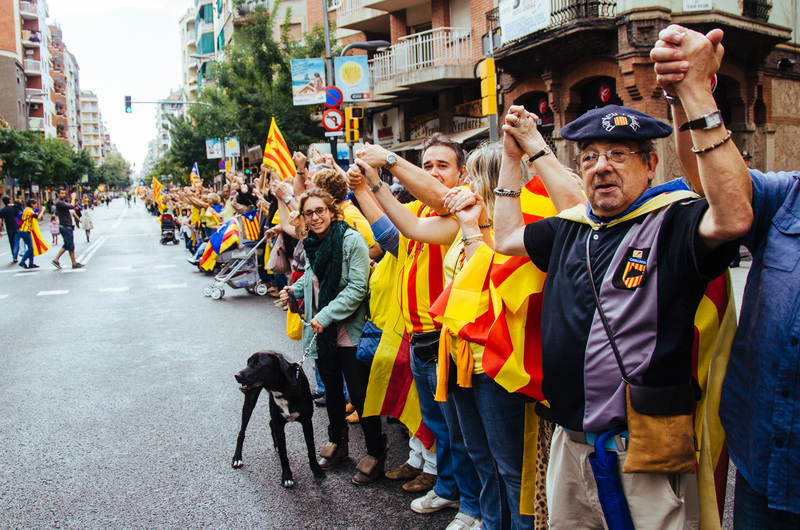 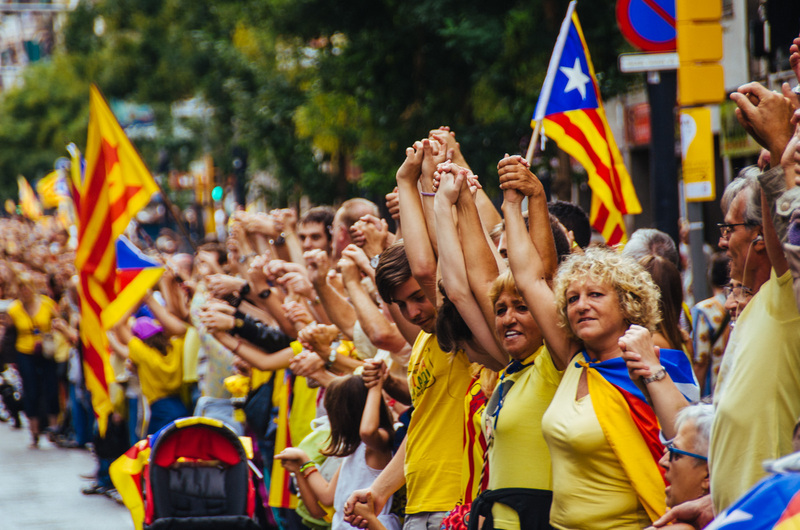 Catalans form human chain for independence from Spain at the symbolic time of 17:14. 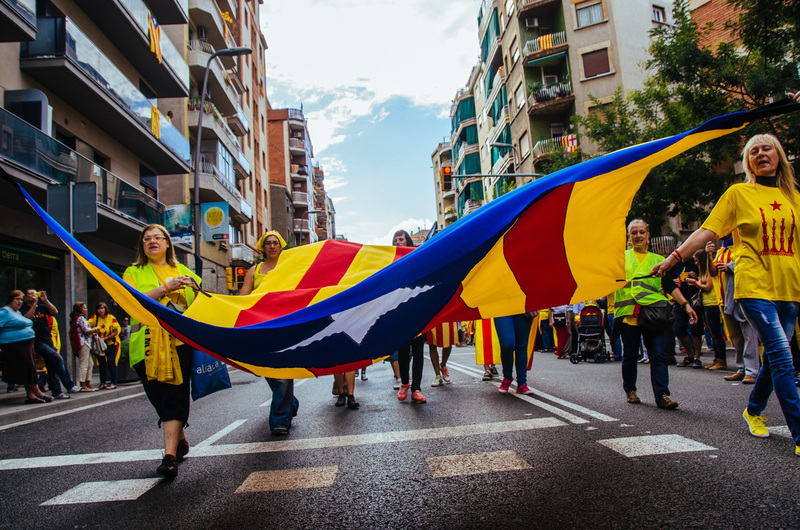 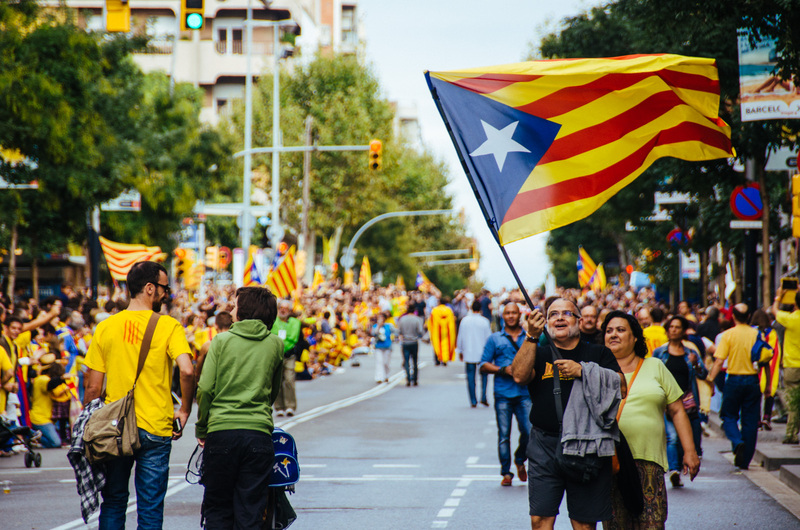 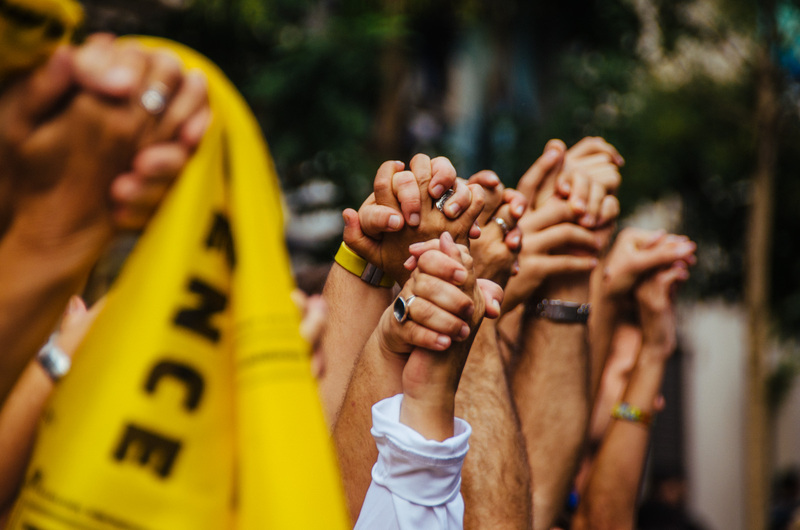 Supporters of Catalonia’s independence from Spain have joined hands to form a 400km (250-mile) human chain across the region in support of their cause. 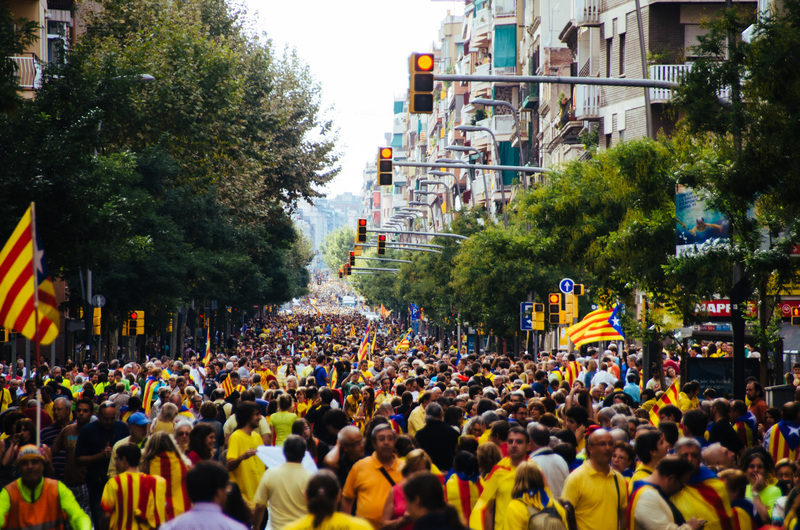 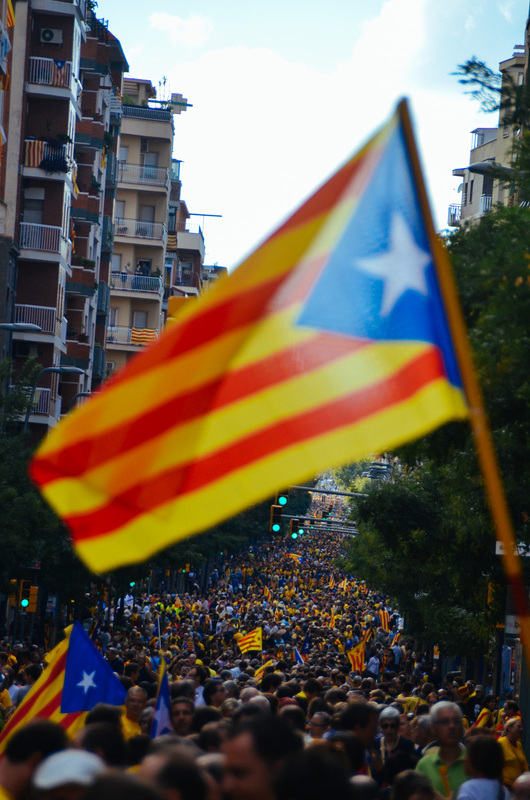 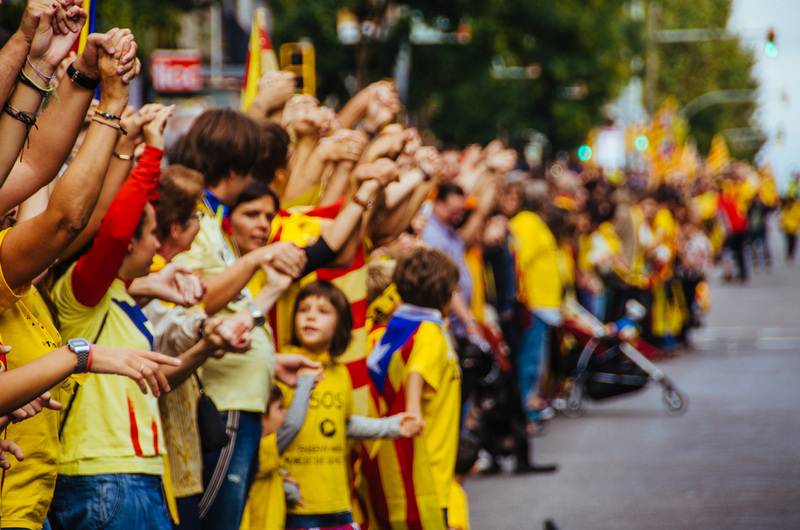 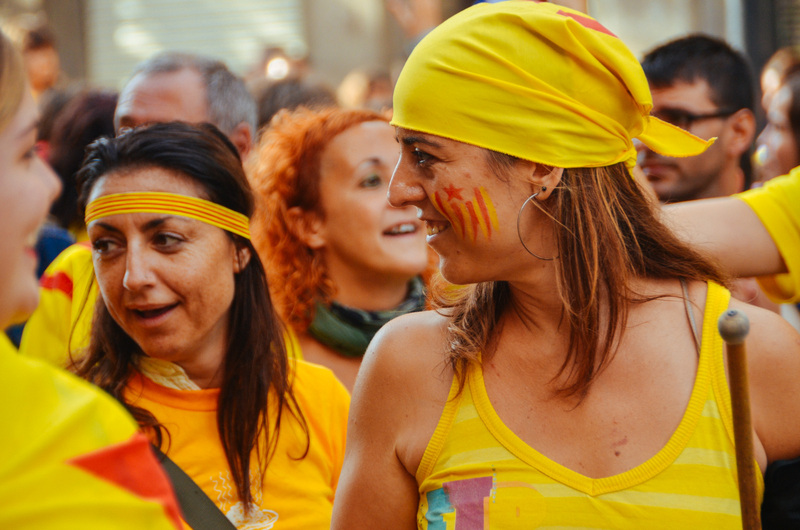 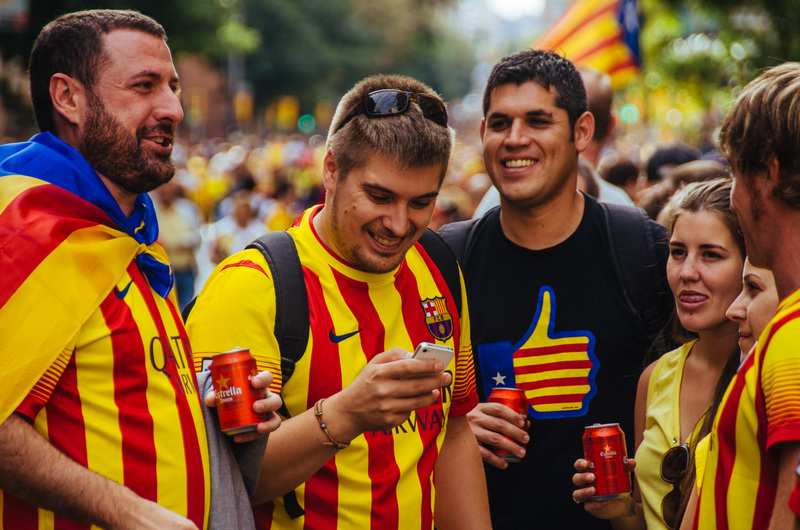 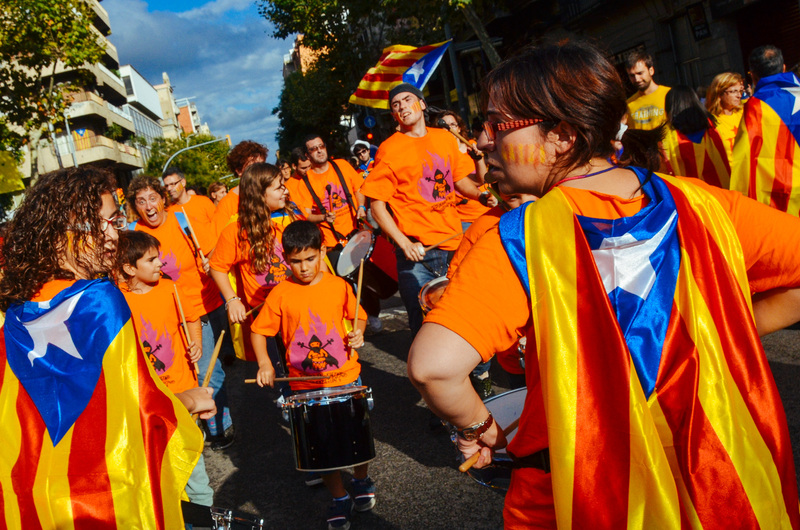 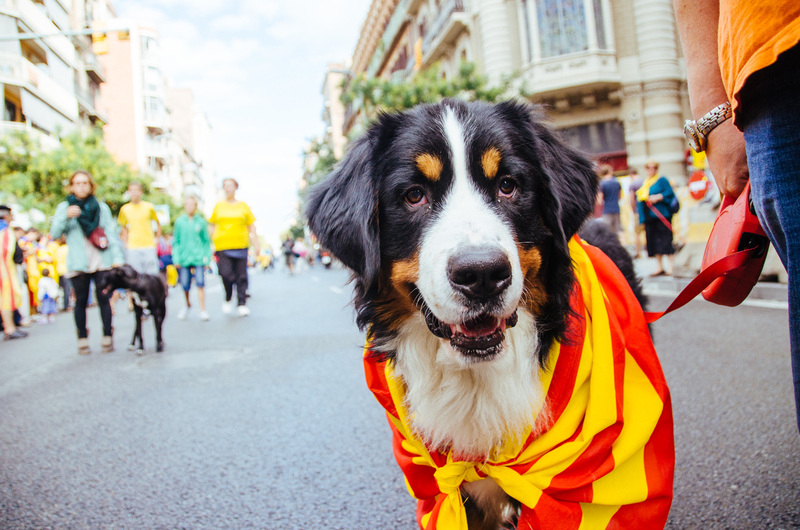 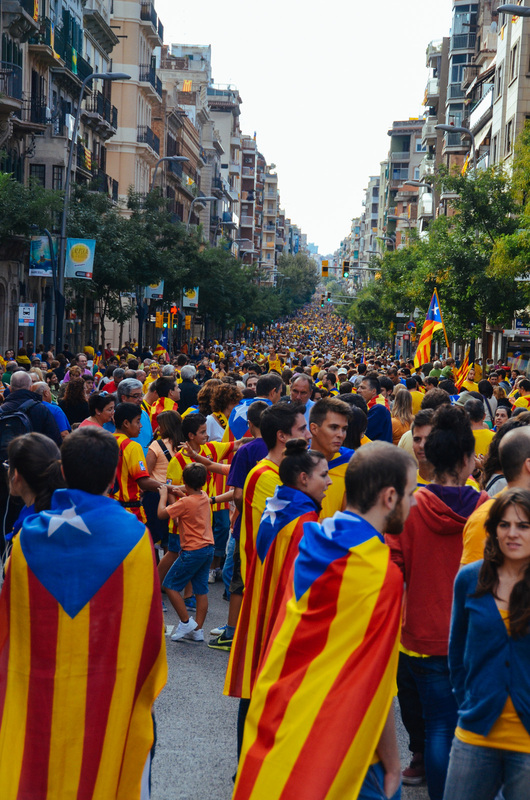 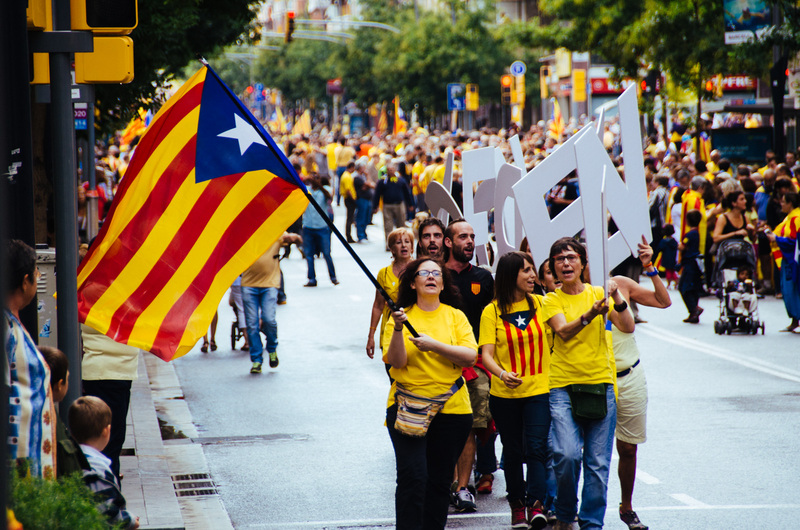 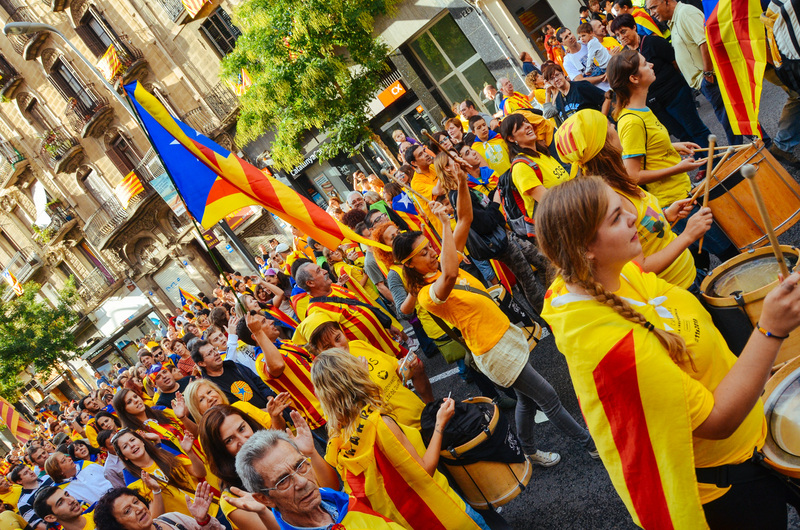 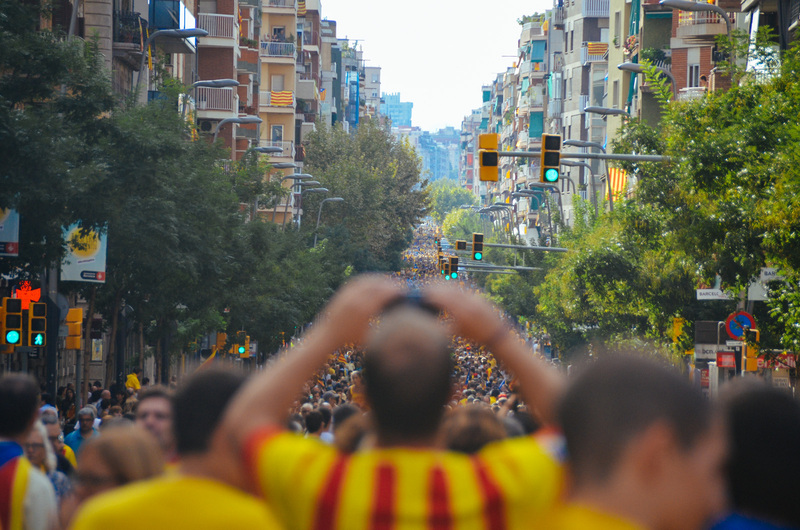 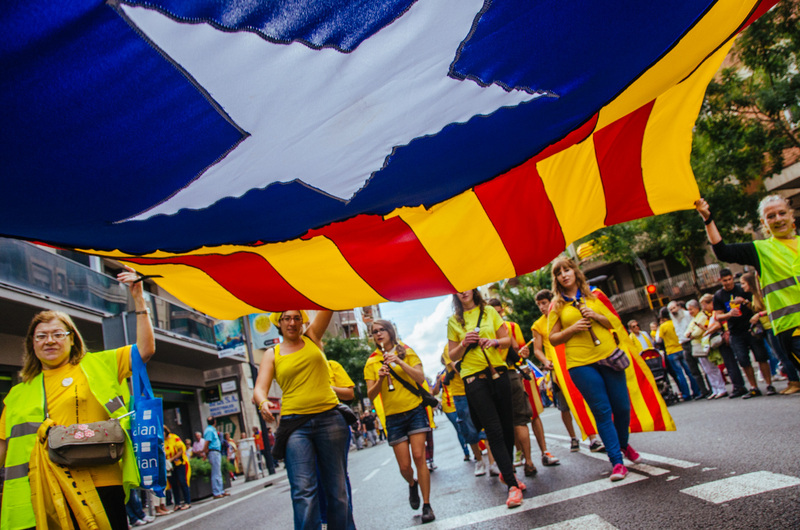 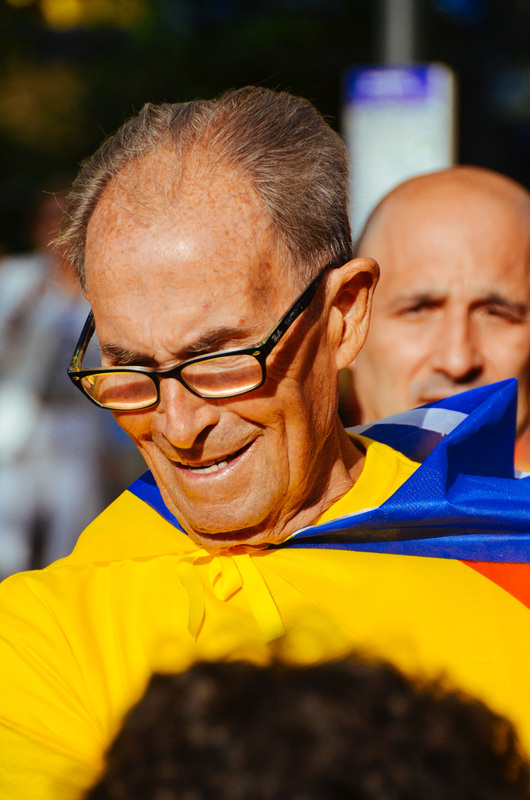 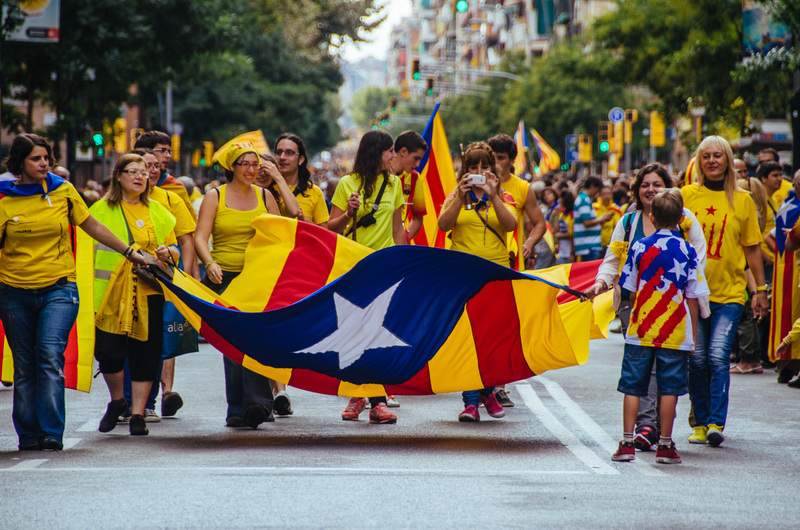 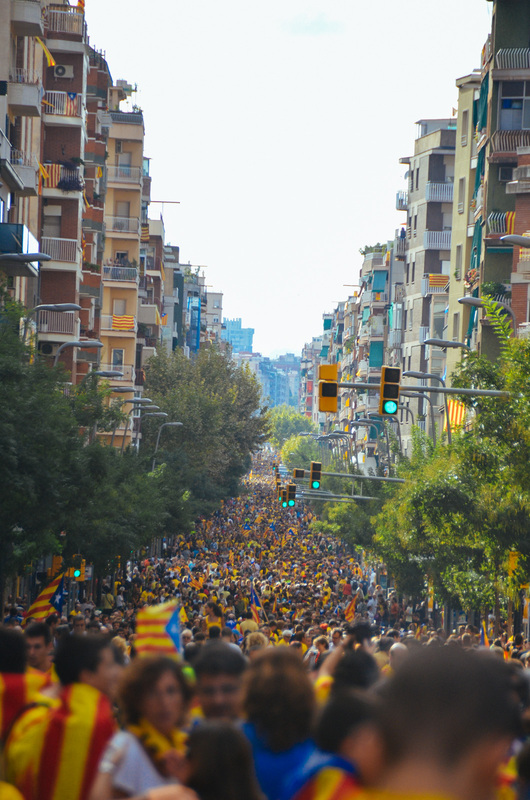 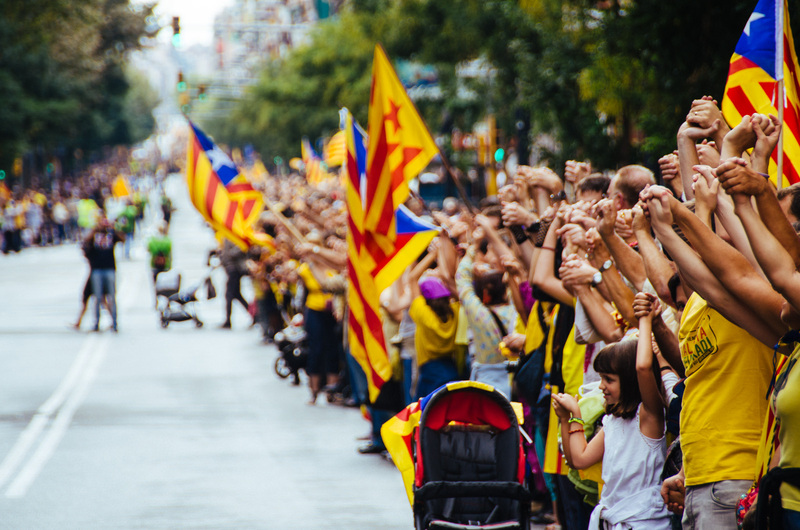 Hundreds of thousands of people took part in the event, which comes on Catalonia’s national day. 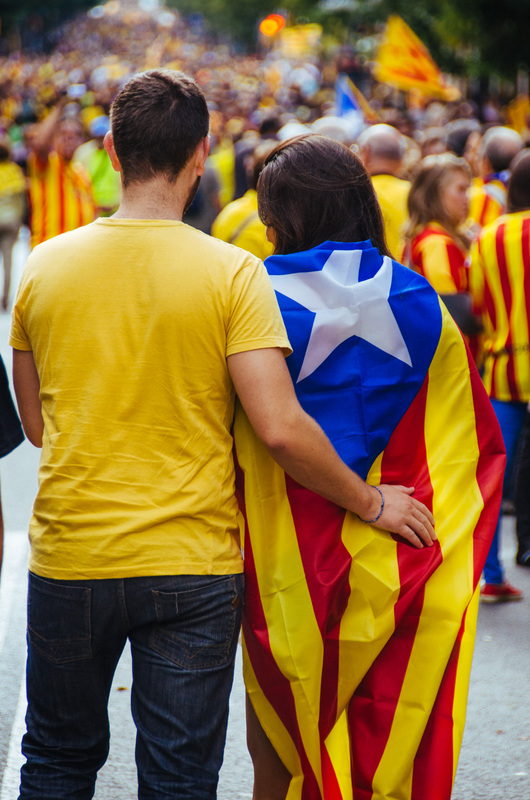 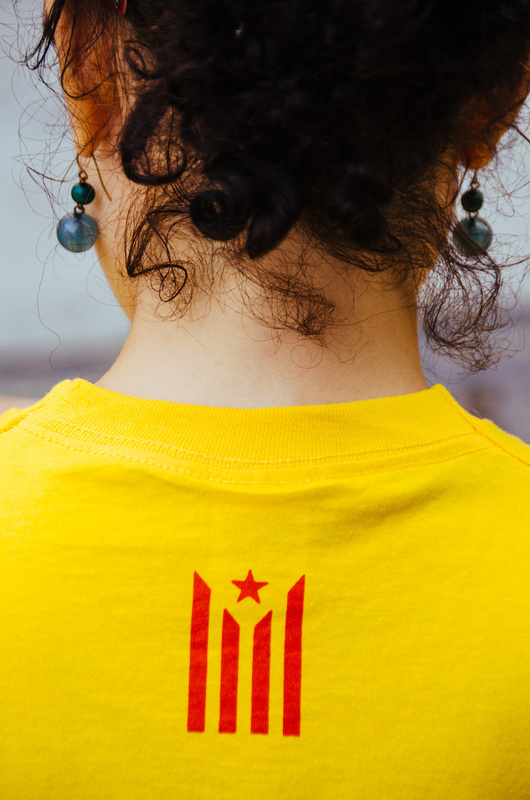 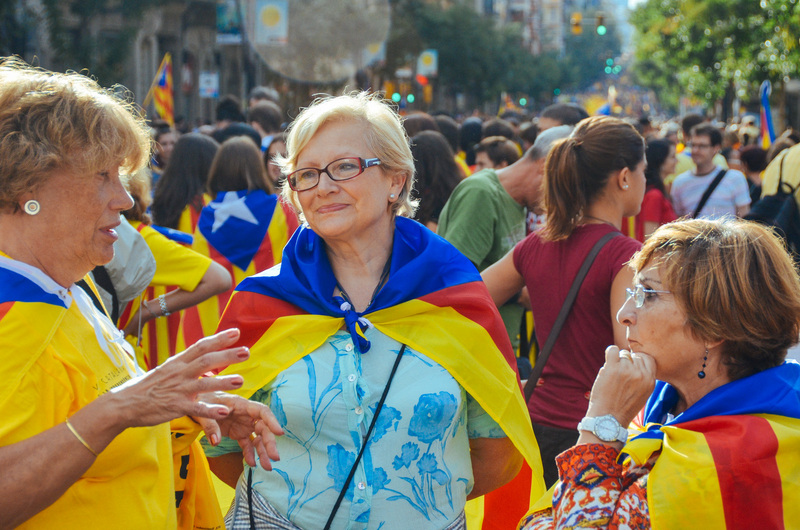 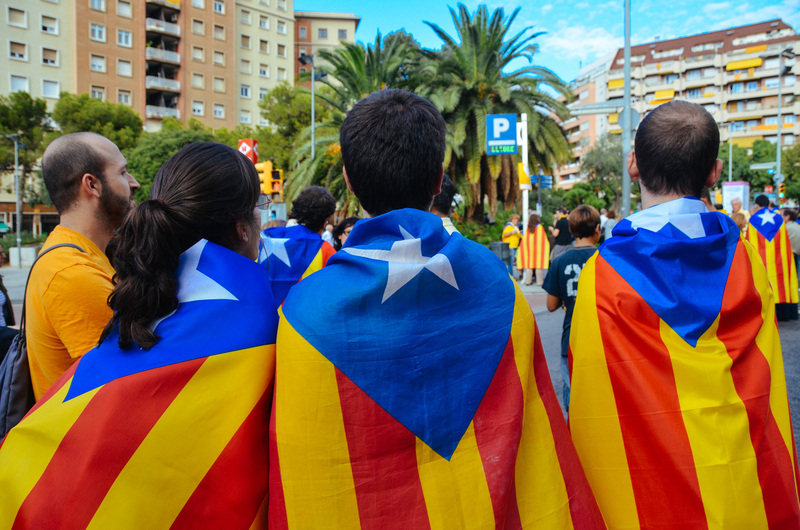 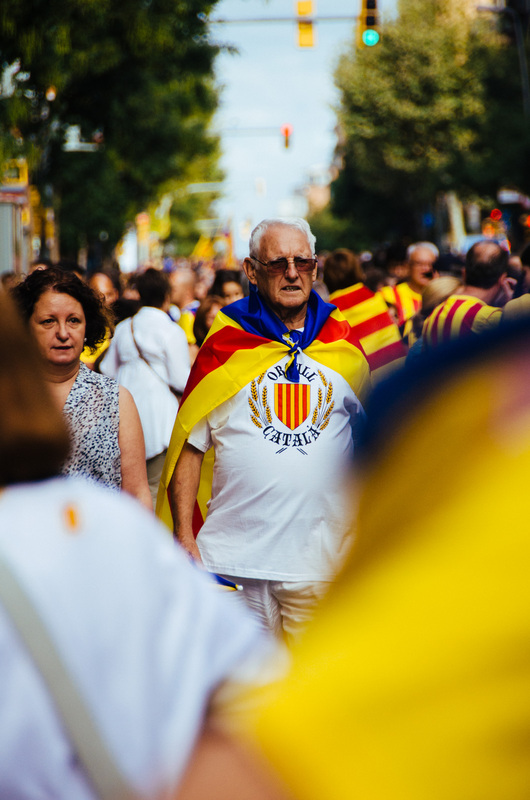 Pro-independence feelings go back centuries, and the Spanish Civil War in the 1930s strengthened animosity between Madrid and Barcelona. 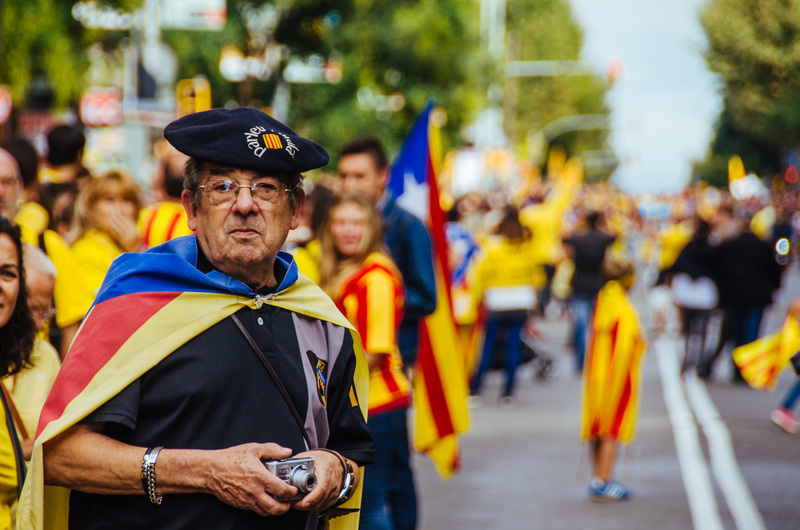 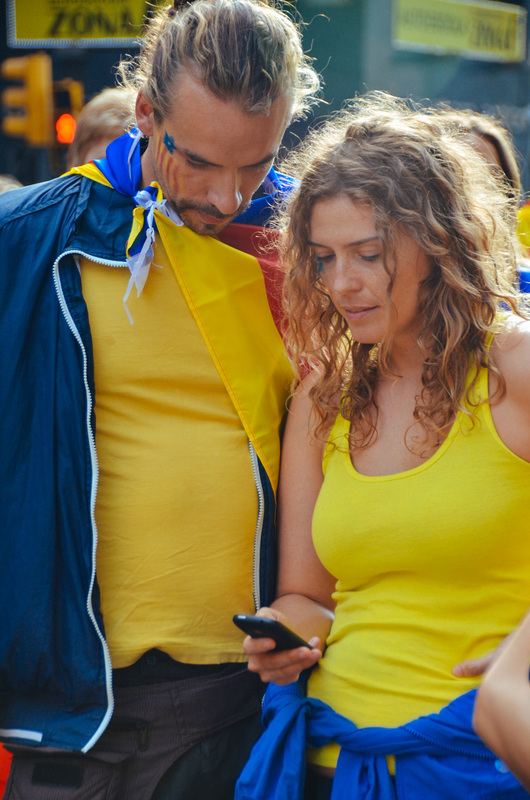 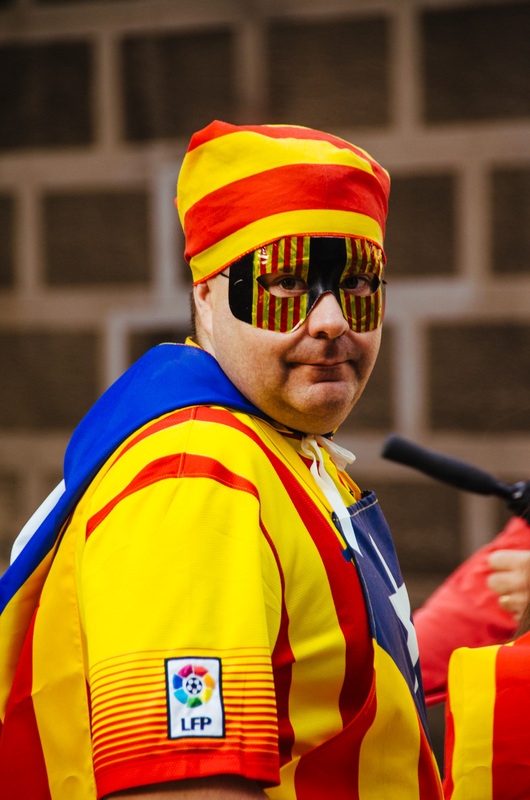 These photo’s were captured in Barcelona at Plaça de Sants. 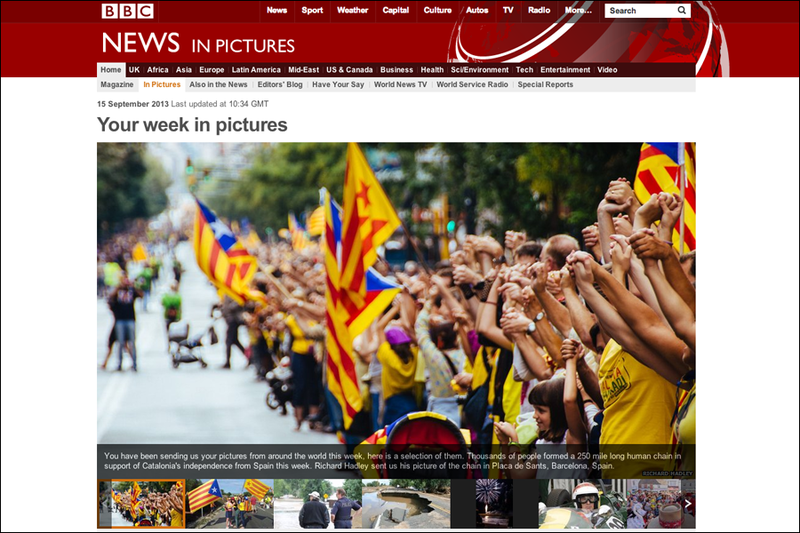 One photo also made on the BBC website!